Renegade dragon hunter Dorn hates dragons with a passion few can believe, let alone match. He has devoted his entire life - a life spent in the twisted body of a half-golem - to killing every dragon he can find. You might feel the same way if one of them had killed your entire family in front of your eyes, bitten you in half, and left you for dead. Killing one dragon at a time is hard enough, but when the irresistible impluse to slip into feral madness begins to overcome not one but every dragon all across Faern, civilization's only hope may lie in the last alliance Dorn and his fellow dragon hunters would ever accept. 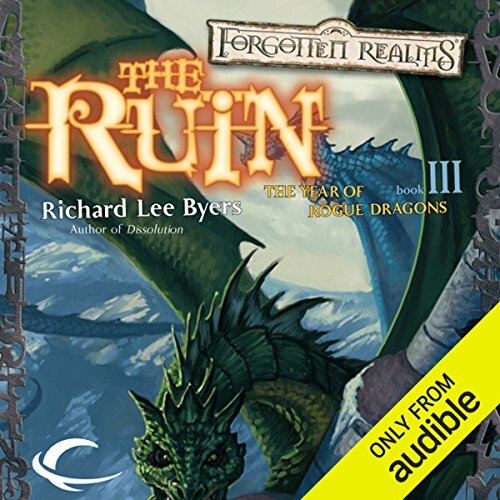 ©2004 Wizards of the Coast, Inc. (P)2012 Audible, Inc.
War of the Spider Queen author Richard Lee Byers. 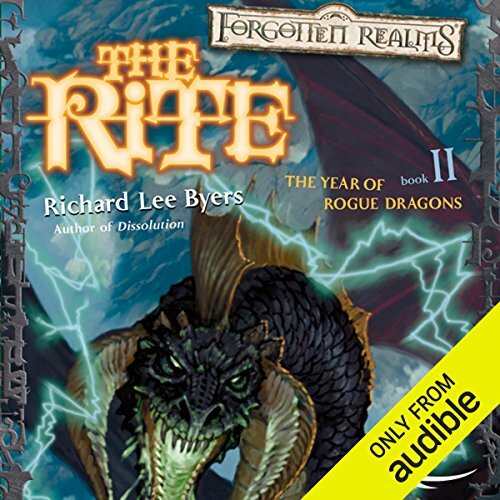 The Rite is the second title in a trilogy exploring the ancient secrets of dragon society in the Forgotten Realms world. Author Richard Lee Byers will write the entire trilogy, and the cover art for the trilogy and the associated anthology will be rendered by award-winning fantasy artist Matt Stawicki. The climactic conclusion of The Year of Rogue Dragons! Madness takes hold, Sammaster draws closer to victory, and forgotten secrets are revealed at last. 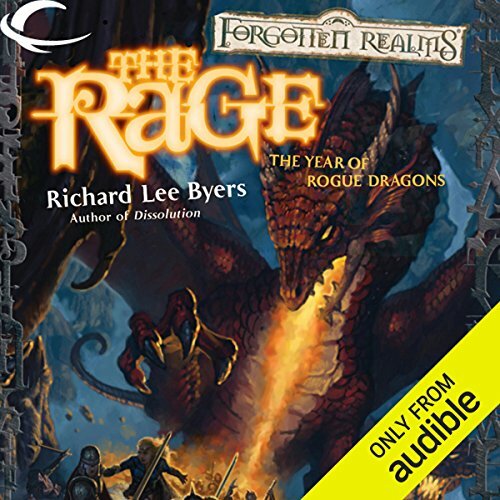 Dorn and the rogue dragons will have to find the source of a millennia-old curse, then find some way to destroy it, before the Rage overcomes the world.